There are much more pros than cons when it comes to Steel or Metal Roofing. Below you will find out why the pros weigh more than the cons. Quick Installation: Because there are wide panels any accomplished contractor can install the roof very quickly. This is beneficial especially if a storm is set to come in, in a few days. Long Lasting: The roof is resistant to fire, mildew, insects, and rot which will allow it to outlast any shingle roof. Fire Resistant: The roof is considered a Class A fire rating, which is the most resistant as the materials are noncombustible. Reflecting Heat: The roof will reflect the heat from the sun which will save energy needed for air conditioning during the day. Lightweight: The roof will not absorb moisture so its weight will stay the same in both dry and wet weather, unlike asphalt. Cost: The initial cost is higher than asphalt. However the re-sale value is much higher and it will cost less in the long run as there is no need to re-roof or maintenance to be done. Noise: You can hear the sound of rain tapping on the roof but there is a method to minimize the drumming effect. Denting: Some denting may occur in an intense hail storm, however some styles are guaranteed not to dent. 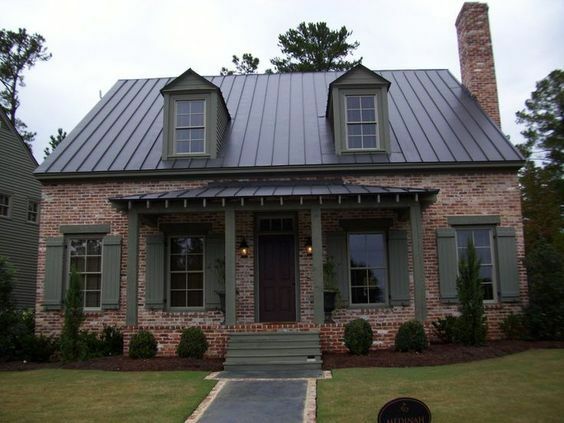 It is always best to weigh the pros & cons of Metal Roofing when deciding whether or not to install a Steel or Metal Roof. If you would like more information and free estimate, contact us anytime.